"The great thing about Africa is that there isn't any competition. Be part of the wave!" That's how Jason Njoka, CEO of iROKO Partners, Nigeria's fastest growing internet company described Africa during the HBS Africa conference in 2012. But you know that will change quickly. You were probably late to the BRICs, and may have even become disillusioned with them. Other markets have emerged, offering interesting opportunities. 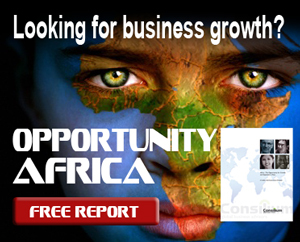 But Africa.....here American SMBs have an opportunity to ride the wave. Do you have a strategy? Africa seems to be so far removed from the markets where American companies prosper.